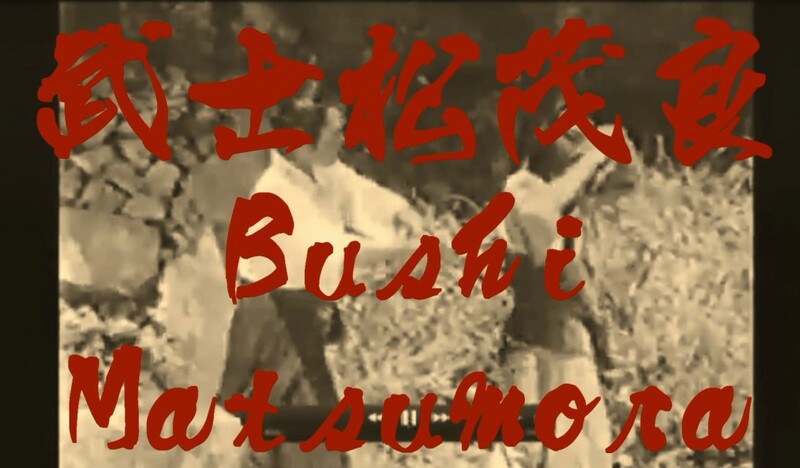 The Movie “Bushi Matsumora” was released in 1956. It is about the heroic tale of famed martial artist Matsumora Kōsaku (portrayed by actor Matsumora Kō’eī). Following this movie, Matsumora’s story was performed on theater stages and it seems it was also performed in the form of the so-called rensageki 連鎖劇, i.e. theater performances with film screenings mixed with acting on stage, which was popular since the Taishō era (1912–1926). In Japanese historical drama so-called tateshi 殺陣師 acted as fencing instructors for martial arts fighting scene. They were mostly instructors skilled in at least one classical style of Japanese Bujutsu. For this reason one often find classical techniques shown in historical theater or movie performances. Similar to this, in this historical drama about Matsumora Kōsaku we see classical Kata of the Ryūkyū kingdom era performed, namely Passai, as well as choreographed fight scenes (Yakusoku kumite) unarmed as well as armed with a Nunchaku. Without doubt the actors were skilled in all of it. It also seems that in this movie Nunchaku have been featured for the first time on screen. We see scenes like Matsumora learning Passai from an elder (portrayed by Tamaki Seigi). Another scene shows Henzan Jirā (portrayed by Gibo Tetsuya) as well as his wife (potrayed by Senaha Takako), and later Henzan fights against an armed villager. And finally Henzan Jirā with a Nunchaku fights against Bushi Matsumora Kōsaku as some villagers look on. This entry was posted in Unknown Ryukyu and tagged Bushi Matsumora, Bushi Matsumora Kōsaku, Gibo Tetsuya, Henzan Jirā, Matsumora Kosaku, Matsumora Kō’eī, movie, Nunchaku, Passai, Tamaki Seigi, tateshi. Bookmark the permalink.